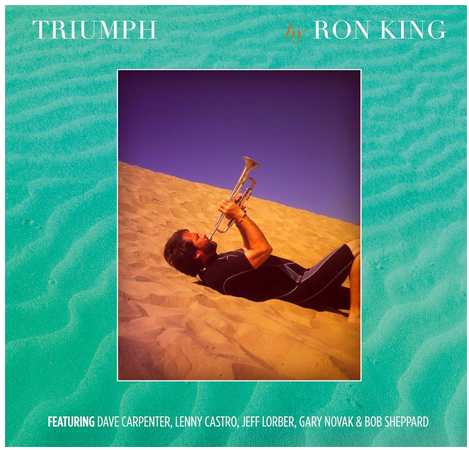 Ron King is one of the finest trumpet / composer / arranger artists, in the world today. A Grammy nominated soloist, he is also one of L.A.’s top studio lead / jazz / improvisational trumpet players. He has received many awards, from the IAJE, NAJE, ASCAP, and the RMA. He has attained Gold Records, for working with such artists as George Benson, Ricki Lee Jones, and Marvin Gaye. In addition to these artists, he has also performed and recorded with: The Tonight Show with, Johnny Carson and Jay Leno. The Hollywood Bowl Orchestra , Frank Sinatra, Keely Smith, The Jimmy Kimmel Live television show, ABC TV’s, The Next Best Thing, Tony Bennett, Johnny Mathis, and featured on the Grammy Awards!! He also has performed and recorded with every jazz Big Band in L.A., including Bill Holman, Clayton Hamilton,Don Menza, and many others. He’s played for countless movie, television, and commercial soundtracks, including Academy Award Winner, Children of a Lesser God, and Ocean’s 11. The Ron King Quartet has featured many world class musicians including Dave Carpenter, Gary Novak, Rob Lockhart, Tom Ranier, Andy Langham and a host of others., plus involved with numerous music projects and CDs, that include such artists as, Jeremy Lubbock, David Foster, Jeff Lorber, Michael Bolton, Queen Latifah, Brian Simpson, and Michael Paulo, to name but a few. He currently leads his Big Band too featuring his own compositions and those of such notables as, Billy Byers, Don Costa, and many others. As far as the band goes, this album features the incredible talents of some of the finest musicians in the world. Most are longtime friends, and we have played together over many years.